The Builders Merchants Federation (BMF) is the only organisation that represents and protects the interests of Merchants and suppliers to the merchanting industry. With Central and Local Government throughout the UK and Europe. With enforcement bodies such as Trading Standards & planning departments. The BMF will act on individual members’ behalf in disputes and keeps members up to date on current business issues. The BMF is also the primary provider of industry specific and specialist training for all employees covering everything from apprenticeships, through product and selling skills, to manager development and even foundation degree. The BMF also provides a range of services to assist members in running their businesses more efficiently. The handbook is the definitive reference guide providing Health & Safety, Training and other services from the BMF as well as giving you quick and easy access to the BMF Merchants across the Country. 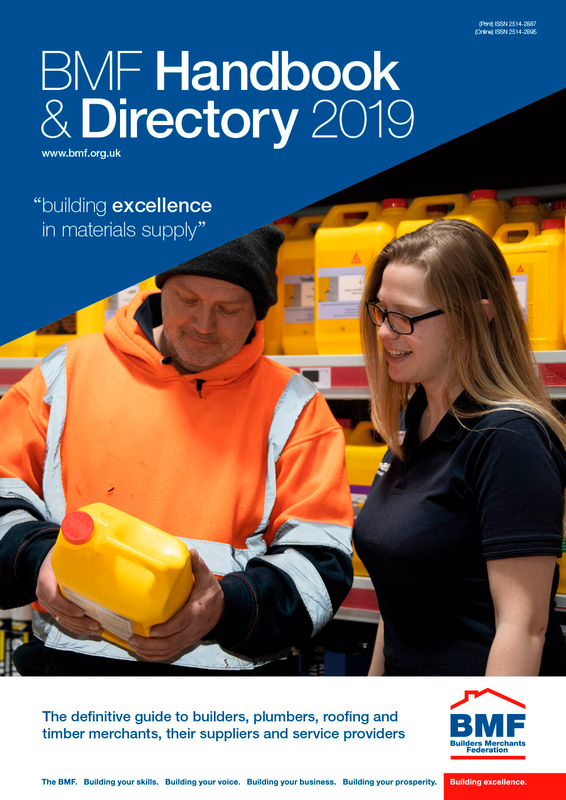 Published in March the A4 handbook contains all the information you’d expect, from where you can find your local merchant to the products that they stock, along with a comprehensive list of members from manufacturers, service providers & distributors. The publication will be sent out to over 3,600 depots throughout the UK in a hard copy version and will be online via the BMF website in a digital version.